The advice is being published as part of the Competition and Markets Authority’s (CMA) ongoing consumer protection work into residential care homes and nursing homes for older people (over 65s). It follows the CMA’s examination of the sector last year, which found that some residents are at risk of being treated unfairly and recommended urgent action to reform the sector. The CMA has also published an open letter to care homes, reminding them of their responsibilities under consumer law and urging them to review the advice immediately. 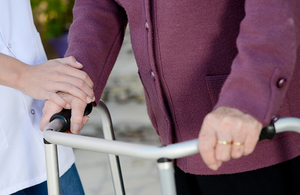 Care homes may need to make changes to their contract terms and business practices as a result. Working with its partners, such as Trading Standards, the CMA will be conducting a review in 12 months’ time to assess how well care homes are complying with consumer law. It may take further action before then if it finds care homes are treating residents and their families unfairly and breaking the law. "It’s vital that care homes treat residents and their families fairly, which is why we have issued advice to all homes across the UK to help them understand what they should and should not be doing under consumer law. "We’ve already taken action against some providers who charged compulsory upfront fees or continued to charge for extended periods after a resident’s death. "We’ll continue to monitor how well care homes are complying and won’t hesitate to take action again if we find evidence that providers have broken consumer law." The CMA has also published a short guide for care homes to accompany the full advice, as well as a short guide for residents and their families that explains their rights under consumer law.